The term “whiplash,” used to describe an injury mechanism of sudden hyperextension (backward motion) followed by hyperflexion (forward motion) of the neck. The injury mechanism is commonly seen in sports and auto accidents. Often, no objective signs of damage to the neck are visible on cervical spine x-rays and no clinical signs of nerve damage are found and it is termed whiplash injury or neck sprain injury. A significant proportion of the injured suffer long-lasting or chronic symptoms, and some are disabled for long periods. The most common whiplash symptoms are neck pain, neck stiffness, headache, shoulder pain, back pain, and difficulties with concentration and memory. Dizziness, buzzing in the ears, insomnia, depression, and anxiety also are reported. Since the early 1950’s, more than 10,000 studies focusing on whiplash and neck sprain injuries have been published. Authors of these studies have recommended various types of initial neck pain treatment with analgesics, sedatives, antihistamines, nonsteroid anti-inflammatory drugs, antidepressive drugs, codeine, muscle relaxants, and local anesthetic injections as well as local heat and ice treatment, neck collar immobilization, ultrasound, and physiotherapy. In chronic or long-term cases, surgery and low-energy, high-frequency pulsed electromagnetic therapy have been suggested. The main event resulting in a whiplash injury is a rear end impact between 2 vehicles. The vehicle that is stationary is impacted, and the forward facing victim typically is not aware of the impact, therefore, is not able to brace herself or himself. Various neck injuries have been clinically documented from whiplash, mostly at the time of surgery. These include; interspinous ligament tears, spinous process fractures, disc rupture, endplate avulsion, C2 dens fracture, strain of the occipital and cervical joint complex, ligament flavum rupture, fractures as well as disruptions of facet joints and over-stretching of the front neck muscles. The majority of patients with whiplash injuries do not undergo surgery, and, therefore, their soft tissue injuries remain undetected. Although the term whiplash is widely used, it is not so much a diagnosis as a description of a process of injury. 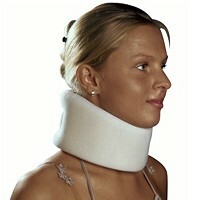 The acute trauma may be categorized as a sprain and/or strain of the neck. Whiplash associated disorder is a collection of signs and symptoms resulting from the injury and often progressing into a chronic condition causing pain and disability for months or years. Common symptoms associated with whiplash associated disorders include, but are not limited to, neck pain, headaches, dizziness, visual disturbances, impaired concentration, and sensory changes in the upper extremities. Whiplash associated disorders continue to be a burdensome health problem with serious economic consequences. One-third of persons involved in a rear-end motor vehicle collision report neck pain and other symptoms of important severity. In the United States, the economic impact of whiplash associated disorders is estimated at 4.5 billion dollars per year. After an accident the victim has to cope with a stressful, potentially life-threatening event, in addition to the early physical complaints that result from the accident. The victim may also experience and have to cope with the fear that the complaints may lead to a chronic and invalidating disease. An active coping style is usually considered preferable in this regard and improving active coping strategies is advised as a main treatment goal. During the first weeks of neck complaints after a car accident, those who seek palliative relief of their complaints, experience fear, annoyance, anger or feel inadequate but do not share their concerns or fear with others are at risk of developing chronic or late whiplash syndrome. Older age, female gender, higher levels of initial neck pain and headache intensity, and initial radicular (nerve) signs/symptoms are predictors of delayed recovery. A 2009 study in the Journal of Rehabilitation Medicine indicates that 5 years after injury, persistent symptoms, post-traumatic stress and depression reactions were frequently reported, together with low levels of life satisfaction and reduced social support. Both the total score of pain intensity and of whiplash related symptoms were significantly related to depression, post-traumatic stress scores and psychological factors that also include different aspects of social support many years after a whiplash event requiring additional management in coping with neck pain. In conclusion, this study demonstrated long-lasting symptoms and psychological consequences, reduced life satisfaction, decline in social support, and difficulties with resuming work. These aspects delineate the complex nature of whiplash associated disorder and should be taken into consideration in the management. It is unfortunate that it is associated with financial gain and persons are rewarded for faking injury (malingering). This also includes doctors and lawyers (medico-legal system) who pursue unethical methods for financial gain. This is pure corruption, however, it should not reflect the nature of those who are seriously injured. Whiplash injuries can often be controversial due to lack of sensitivity of current diagnostic measures, but there is ample scientific evidence relating physical damage to structures responsible for pain and disability. The structures of the neck which are often involved in whiplash injuries are joints, ligaments, discs, arteries, nerves and muscles of the neck. The facet joints are frequently a cause of neck pain, especially in those with persistent symptoms. There is ample references regarding facet joint related neck pain leading to diagnostically oriented testing like joint blocks, as well as therapeutic treatment like radiofrequency neurotomy, which is able to alleviate pain in some cases. 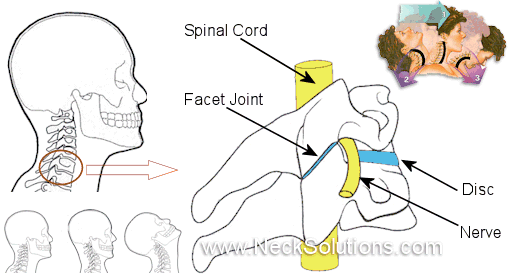 2 joints called facet joints are inbetween a pair of neck bones from levels 2 through 7. 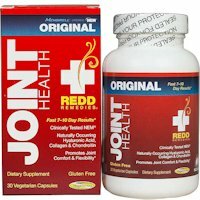 The joint is covered by a ligament called a joint capsule. A folding on the inner part of the capsule goes inbetween the articulations. The capsule of the facet joint cannot prevent excessive motion because it is not rigid. The facet joints of the neck are sensitive and may be responsible for wide spread neck pain called a facet syndrome. The motion of the facet joint and capsule during whiplash forces show 2 types of injury have been proposed – 1) pinching and 2) strain. 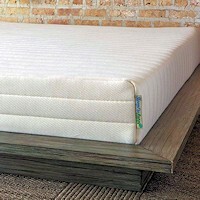 It is known that the abnormal motion will compress the facet joints, resulting in pinching. Strain of the facet capsule is well known. Strain levels of 29% to 40% are demonstrated involving the level 6 and C7 joint capsule in whiplash injuries, when strain from normal forward bending are just 5 or 6%. 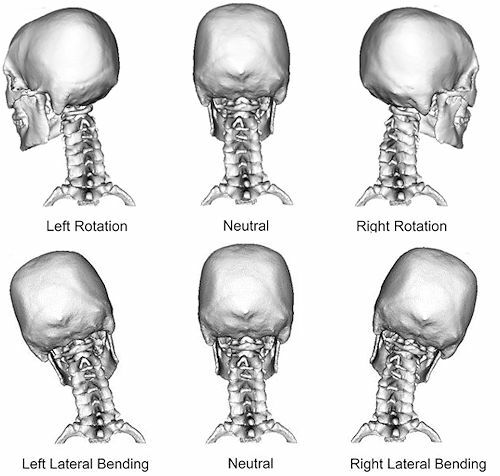 Head turned neck positions have been shown to double the strain in whiplash simulations. Incomplete rupturing of the joint capsule is seen with shearing and tensioning as the capsule stretches is another method of damage. Spinal ligaments and fibers encapsulating the discs can partially or completely rupture when stretched beyond their physiological limit. The whiplash related response of the cervical ligaments and discs of the neck have been quantified using a whole cadaveric neck model which replicates muscular forces. During rear impacts with the head facing forward, dynamic strains in the anterior longitudinal ligament and annular disc fibers above physiological levels and increased joint laxity were observed. The C5/C6 disc was found to be at highest risk of injury. The disc injuries occurred at lower impact accelerations during rear impacts compared to frontal impacts. Damage to the disc may cause an early onset of degenerative disc disease. A 1991 study published in the journal Injury indicated a significantly higher rate of disc degeneration was found in whiplash patients 10 years after the accident when compared to age matched controls. It should be noted that a normal MRI study of the neck does not exclude the existence of clinically significant disc disease in the whiplash injured with chronic neck, head or nerve pain. Internal Disc Disruption is a condition where the internal structure of the disc is disrupted, while the external appearance is essentially unchanged. This is often a difficult condition to treat and winds up being a chronic, painful condition, most likely due to persistent inflammation. The vertebral arteries supply blood to the head, brain, and neck tissues. Changed blood circulation because of spasm and/or constricting of vertebral arterial blood vessels in whiplash sufferers are related to chronic signs and symptoms of headaches, blurry vision, ringing in the ears, lightheadedness, as well as vertigo. Vertebral artery injuries leading to insufficient perfusion to the brainstem and also encompassing tissue might reveal a number of the whiplash associated signs and symptoms like headaches, vertigo and dizziness. During injury, especially with the head turned and side impacts, stretching of the artery decreases the diameter and may cause vascular compromise. The magnitude, rate, and timing of vertebral artery elongation are sufficient to potentially cause vertebral artery injury. The dorsal (back) and ventral (front) roots come off the spinal cord and combine to form spinal nerves at each spinal level. Cell bodies of sensory nerves are contained in the dorsal root ganglion, which has been shown to be particularly sensitive to loading. Even slight compression of normal dorsal root ganglia can produce sustained electrical activity and pain. Unlike the nerves which go into the arm, the nerve roots are not enclosed by a thick protective covering, and thus they lack the mechanical strength, potentially exposing nerve roots to increased risk of injury when loaded during a whiplash injury. Pressure gradients from blood volume changes related to the spinal canal during rapid whiplash induced motions can place pressure on the ganglia as well as nerve roots and cause symptoms. Direct injuries to the dorsal root ganglion might make clear a lot of the common signs and symptoms like neck ache, neck related headaches, vertigo, eyesight dysfunction, as well as nerve signs or symptoms within the upper limbs. 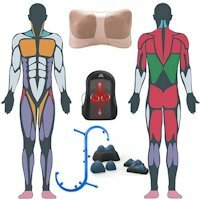 General sensitivity to pressure and reduced temperature pain thresholds on the skin on the neck may be defined through reduced sensory processing. Greater levels of sensitivity to pain called hyperalgesia, and greater locations of pain referral may also be noted. Deformation regarding the roots is yet another probable method for creating chronic neck pain. The actual bony openings known as intervertebral foramina alter shape as well as reduce size in the course of excessive neck movements that may constrict nerve roots inside the foramina in the course of injury. It is often noted that a 20% decline in cross sectional area of 4 through 7 foramina levels of the neck with extension and also the foramina at the 5 and 6 level will be reduced up to 1.8 millimeters in the course of simulated rear end collisions. This particular constricting in the foramen in the course of whiplash may possibly constrict the nerve roots as well as ganglia inside the lower cervical vertebrae, especially in people with congenitally small foramen as well as individuals having osteophytes coming from degeneration. Findings with nerve irritation is often found when side bending the head towards the painful side and relief when the painful arm is raised above the head. 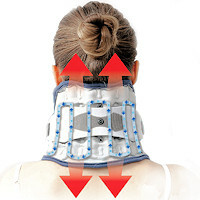 Neck traction is sometimes used to reduce mechanical irritation of the nerve root or dorsal root ganglion. Muscular or myofascial discomfort is a very common. Muscle groups might participate in an indirect function in modulating pain triggered through traumas to other tissues. Muscle tissue make up most of the neck’s volume level and also the surface muscle groups, like sternocleidomastoid and trapezius, in many cases are suggested as a factor in the pain as well as discomfort related to whiplash injuries. These surface muscle groups connect with the head, shoulder girdle, as well as nuchal ligament yet don’t typically connect immediately to the cervical spinal vertebrae. Much deeper muscle groups connect to numerous cervical spinal vertebrae. The deepest muscle groups, the multifidus , connect right on the joint capsule of cervical spinal vertebrae and might be related to injuries associated with the capsular ligaments. The majority of neck muscle groups have complicated structures, along with substantial inner tendons as well as the existence and arrangement regarding the inner tendons might be associated to musculotendinous pain. The primary method regarding neck muscle damage takes place coming from eccentric contractions, which is lengthening in the course of contraction. Computer system models utilizing experimental kinematics involving humans subjected to whiplash crashes demonstrate both back and front neck muscle groups encounter active stretching in the course of rear end collisions. With regard to simulated collisions having a velocity change of eight km/h, maximum muscle tissue fascicle strains averaged approximately seven to fifteen percent in the sternocleidomastoid and also 21 to 50 percent within the rear muscle groups like the semispinalis capitis. 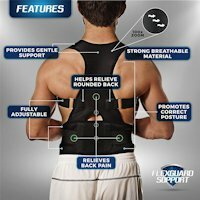 These types of strains surpassed all those demonstrated to trigger muscular injury (5 to 20 percent) in research laboratory tests, therefore, acute neck muscle tissue injuries can happen in the course of rearend collisions. Neck muscles most likely communicate with additional anatomical locations associated with whiplash injuries in 3 ways: (one) neck muscle groups connect specifically to the facet joint capsule, that is suggested as a factor in persistent pain right after rearend collisions; (two) neck muscular activation in a roundabout way impacts the forces and strains within additional anatomical sites; and (three) modified neuromuscular command may well bring about persistent pain coming from increased as well as improper muscular activation. Neck muscular activation additionally impacts tissue loads by means of raising intervertebral pressure as well as modifying usual movement. Due to the fact neck muscle groups tend to be oriented mainly down and up, their particular activation generates axial pressure involving the cervical spinal column, raising loads in the intervertebral discs as well as facet joints. Muscular activation additionally has an effect on the movement reaction associated with the neck and head, therefore loading and also strain thresholds regarding injuries might be surpassed within various other structures like ligaments, discs and also facet joints. The relationship involving muscle groups and nerves (neuromuscular control) may be additionally associated with persistent pain. A lack of ability to relax following physical exercise as well as increased activation tend to be related to neck pain, plus calming specific neck muscle tissues with botulinum toxins enhances flexibility as well as decreases pain in these sufferers. This implies that pain as well as elevated muscle activity might enhance one another. It continues to be uncertain whether or not muscular dysfunction can be a trigger (resulting in harm to additional structures) or influence (because of disuse or avoiding pain ) regarding discomfort or even just a related connection. MRI studies have indicated significant changes to the structure of neck muscles in sufferers of persistent whiplash symptoms. This type of fatty degeneration of the neck muscles are postulated to be the result of local structural damage, a nerve injury, or a generalized disuse phenomenon. Some gentle neck exercises may be beneficial to help prevent chronic whiplash. Studies indicate that upper limb pain and altered sensations in patients with whiplash may arise from hypersensitivity to pain in nerve tissue. 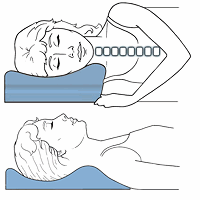 Neck rotation (turning head to the right and left) addresses this involvement by mobilizing the nerve structures on the opposite side to which the neck is turned. 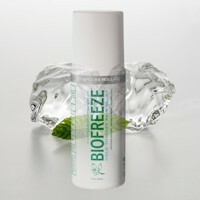 This can help to prevent scar tissue from forming adhesions that may later cause dysfunction. Rotation avoids compression stress caused by flexion (bending head forward) and lateral flexion (bending ear toward the shoulder). 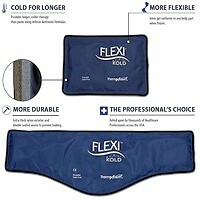 This mobilization may also help to increase microvascular blood flow caused by compression. Self-mobilization should begin as soon as possible when there are no major complications. 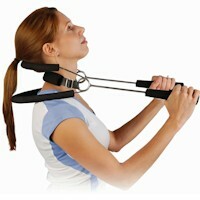 The emphasis should be on frequently repeated neck rotation. 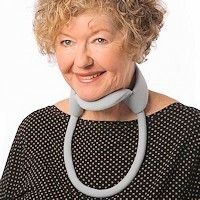 Patients may perform gentle, small rotational movements of the neck, first in one direction, then the other. The movements should be repeated 10 times in each direction every waking hour. 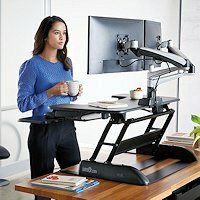 The movements should be performed up to a maximum comfortable range. Perform these home neck exercises in the sitting position if symptoms are not too severe. The exercises can be done while lying on the back (unloaded supine position) if the sitting position is too painful. In the event of an increase of symptoms, adjust by either reducing the amount of rotation – amplitude of the movements, by reducing the number of movements, or both. The exercises should not cause an increase in pain. A 2015 study in the European Journal Of Pain examined factors related to the reduction of disability & pain in chronic whiplash patients, finding that specific neck exercises was the only one that produced consistent results for success in treatment. Findings in the 2008 journal, PLoS Medicine indicate that those with the lowest expectations for recovery after their whiplash injury will have the poorest recovery, and those with the highest expectations will have the best recovery. They also suggest that a patient’s expectations about getting better are as important as his or her physical symptoms. The authors say that the more we can influence patients to believe they will make a full recovery, the better chance they will have to recover completely. This means that it may be beneficial for healthcare providers to give support and/or education to patients with whiplash associated disorders that increases their positive feelings toward recovery. This can be advanced with education on self management for whiplash recovery. A 2019 study in the British Journal of Sports Medicine showed that stress reduction (stress inoculation) that is integrated with exercise as opposed to exercise alone for acute whiplash provided better long term outcomes. Early stress symptoms in treatment are signs of poor recovery, therefore, stress reduction or cognitive behavioral therapy can help reduce disability in those displaying symptoms. Stress reduction is a form of psychological therapy that can reduce fear of motion and anxiety, which can attribute to chronic pain in certain patients. So, it is important to not only relay this information to the therapist/doctor, but to make sure this type of therapy is offered. I have seen therapists that were very good and some who actually contribute to stress anxiety. I know as a Chiropractor that reassurance and proper education makes a big difference in those that display stress/anxiety, or who are at risk for chronic symptoms. Taking time for this or a proper referral is important. If you are not being treated in a reassuring and kind manner, and your deepest concerns are not being addressed in a calming manner, you are not in the right place. 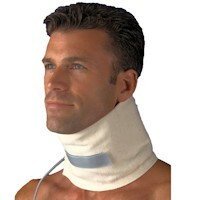 Admit there’s been a physical injury to your neck, however there’s been no critical harm. Following a whiplash injury your neck just isn’t moving and functioning correctly. The joints and muscles happen to be afflicted yet they possess a healthy capacity to restore and repair, which can be aided through activity. It ought to improve fast by having an active strategy; there isn’t any reason long-term impairment must occur. Even though signs and symptoms may possibly continue for some time, the actual acute soreness will probably improve inside of a handful of days or perhaps weeks, undoubtedly adequate in order to get on with your life. Acknowledge various other signs and symptoms: Headaches, arm soreness, jaw discomfort, as well as lightheadedness are typical and not really reasons for panic. Make use of basic analgesic methods; it is really an aid in order to help with earlier activity. Search for a means to relax and do not worry. Extented inactivity is actually unhelpful: Staying away from every day activities slows down recovery. A few activities might entail some discomfort, however hurt isn’t the exact same as harm. Keeping as active as you possibly can is essential: Continue to keep moving, do not remain in a single position very long, keep moving around before you’ll stiffen up, and do not entirely keep away from things. The majority of every day activities as well as early come back to work are beneficial. Exercises are beneficial: Basic shoulder and neck exercises will be effective and safe – stretching out, conditioning as well as co-ordination exercises ought to be done on a regular basis each day; initial tenderness isn’t a cause for worry. Emotional aspects (particularly worry and also fear) tend to be risks regarding developing a persistent problem: Do not get worried and do not scared of motion or discomfort activity as well as a optimistic strategy will be the important factors to preventing long-term difficulties. Do not become an avoider. Lastly, you should make sure your head rests (head restraints) are adjusted properly. Properly adjusted head rests can significantly reduce the level of injury in a whiplash car crash. If you have sustained a whiplash injury, don’t think it can’t happen again. 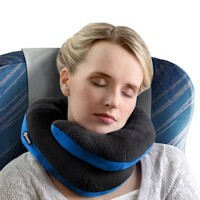 Protect your neck by using the right head rest adjustment and because many head rests are inadequate, you should use a Add On Headrest. It has been tested in car crashes to reduce the severity of whiplash injury. 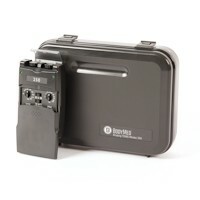 I have been using one for years and highly recommend it along with many other knowledgeable health care professionals. A 2019 study in the Clinical Journal of Pain indicates those at risk for chronic neck pain symptoms after whiplash are significantly associated with factors prior to the collision. The authors found pain related diagnoses and medically unexplained symptoms were correlated with neck pain 12 months after the collision. The authors speculated this may be due to a sensitization process or low threshold for utilizing health care services pre-collision, and that these risk factors were maintained post-collision. The injury triggers preexisting vulnerabilities which complicate recovery from whiplash.